CURING & SEASONING A TAGINE! 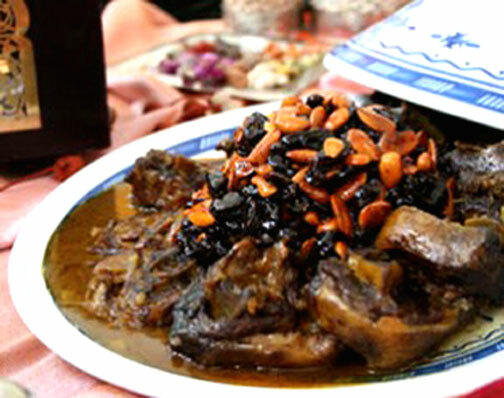 We receive quite a few questions about tagine curing and cooking. Not only the “how” questions but the “why” as well. Below, I am including a step by step directions on how to cure a tagine at home without any special equipment and just little space. HOW TO CURE A TAGINE? 1. WATER: The new tagine needs to be first submerged in water for at least 1 hour. If you can’t submerge it, place it in a clean sink bowl and slowly fill the base of the tagine with water until it stops absorbing it. Place the tagine lid on top (as shown) and fill it as well. Let stand for 30 minutes to allow full absorption of water into the clay. Empty excess water and set to dry for 5 minutes. 2. OLIVE OIL: All you need is 3 table spoons of olive oil, 2 for the base and one for the lid. Spread the olive oil throughout the base and lid with your hand as shown. 3: HEAT: While the tagine is still wet with the oil applied to it, place it in the oven as shown in the first or second photos, and set temperature at 350 F and leave for 45 minutes. The evaporation of moisture creates a vaccum effect to pull the olive oil into the clay which glazes and seals it. Then leave the tagine cool down in the turned off oven. The last photo shows a cured tagine ready for use. Curing clay pots is as cultural as the cooking itself. If you look up curing clay pots, you will find a variety of processes using a multitude of ingredients ranging from spinach to buttermilk to mustard oil. In order to strengthen (less susceptible to thermal shock) your cooking tagine and get optimum taste that tagine lovers seek at every use, it is necessary to use the process explained above. The use of olive oil has a dual effect. It is as important for sealing clay as it is for flavoring Moroccan cooking. 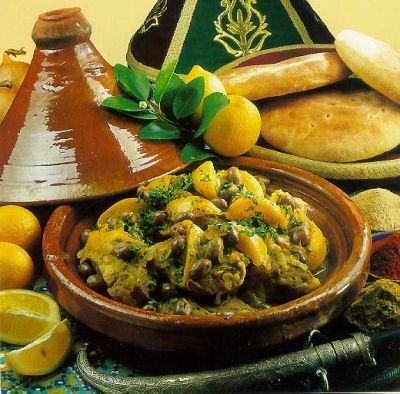 It is recommended that you hand wash your tagine, as it has not been tested for dishwashers. Do not leave submerged in soapy water.